Our Personalized Crohn's Disease Awareness Sweatshirt is available on our premium 50/50 cotton/poly blend hooded sweatshirt, machine washable in youth sizes XS-L and adult sizes S-3XL. Includes FREE Personalization! 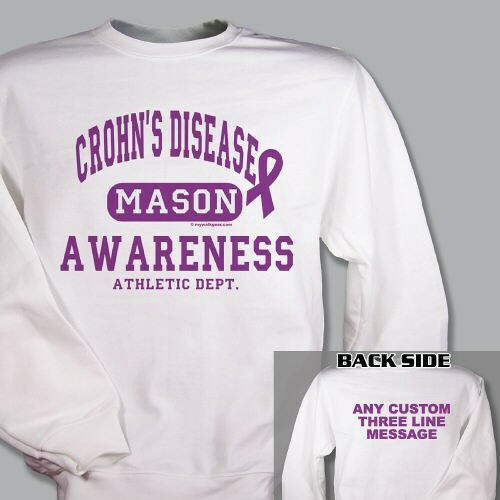 Personalize your Awareness Sweatshirt for Crohn's Disease with any name on the front and any three line custom message on the back.